Description: 40-acre tracts in the Pedro Mountains have been in big demand for over 25-years. In fact, most owners are local residents from the Casper area. These parcels are located near the little settlement of Alcova and only a few miles from Pathfinder Reservoir and the world famous “Miracle Mile” fishing site located on the Platte River. In addition, this particular parcel borders the BLM. Surveys: The 640 acres containing this parcel was surveyed by the federal government, but this particular lot has not been surveyed. Mineral Rights: A mineral search has not been conducted so seller has no idea as to mineral ownership; however, seller agrees to transfer any and all mineral rights it owns to the buyer. Access/Roads: Access easements have been recorded but an actual road may or may not exist at this time. Furthermore in the event access requires crossing federal or state lands then such access would be subject to the policies of those agencies. Directions: From Casper, Wyoming drive southwest on Hwy 220 approximately 40 miles until you reach the small town of Alcova (gas station and general store—you could inquire there about the Pedro Mountains Subdivision); from Alcova drive south on Kortes Road for a few miles and the Pedro Mountains Subdivision will be off to the right. Wyoming 80 Acres! Red Desert! Owner Financing! 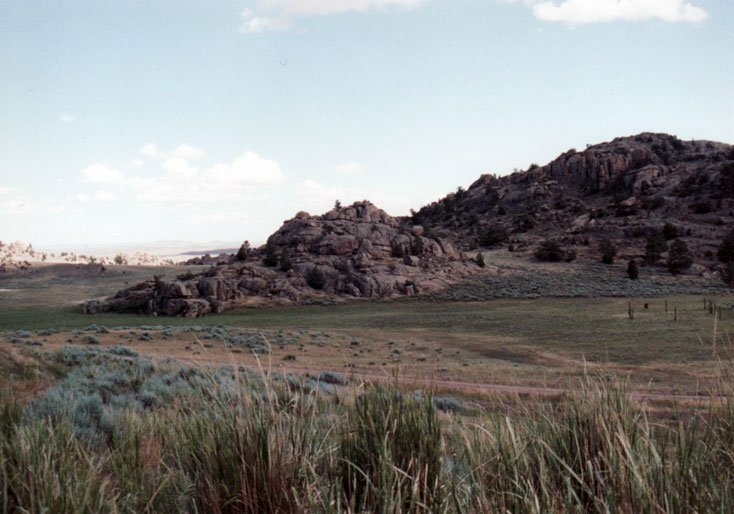 Wyoming 160 Acres! Great Hunting! Only $210/ac! Owner Will Carry! 20 Acres, Okfuskee County, Oklahoma! Wooded! Owner Will Carry!